Hi there! 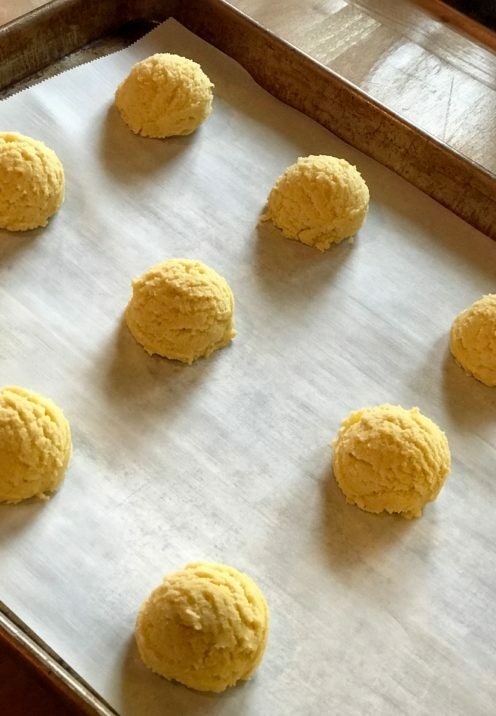 Today I’m really excited to be sharing a Freeze Dried Sweet Corn Cookie Recipe. 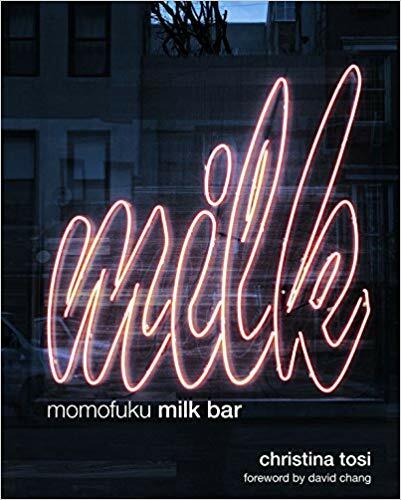 It’s a really special and unique recipe that has been adapted from one developed by famed pastry chef, Christina Tosi of Milk Bar fame. 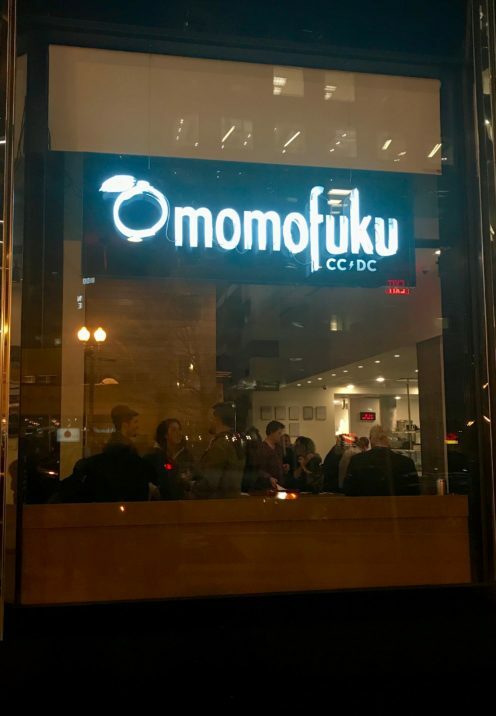 You see, the last time I was visiting my DC dwelling son, we went to dinner at Momofuku, the wonderful restaurant where Christina Tosi got her start, and where she collaborates with chef David Chang. 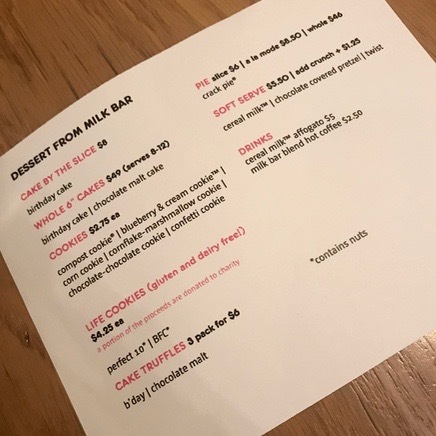 There we enjoyed a delicious dinner, but I must admit, the most memorable part of the evening was when the dessert menu from Milk Bar was presented to us. We were a group of 6 so we selected several desserts to share, which included the really yummy Birthday Cake. 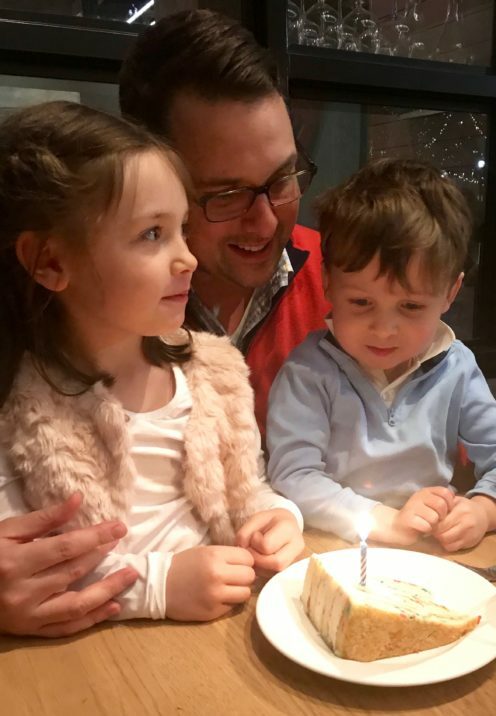 It was, after all, both my Granddaughter’s & Grandson’s birthdays. 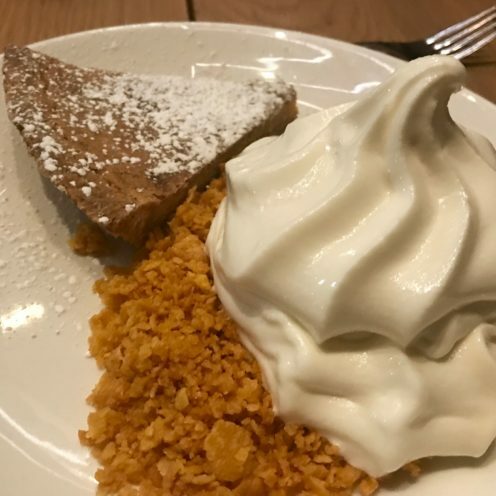 We also ordered a slice of the uber famous Crack Pie, which comes with Soft Serve Cereal Milk Ice Cream and sweetened Corn Flakes on the side. It was really yummy. But for me the pièce de résistance was the Corn Cookie, made with delicious freeze dried sweet corn. Ever since then I have dreamed of being able to make these cookies myself, since I live nowhere near a Milk Bar Bakery. 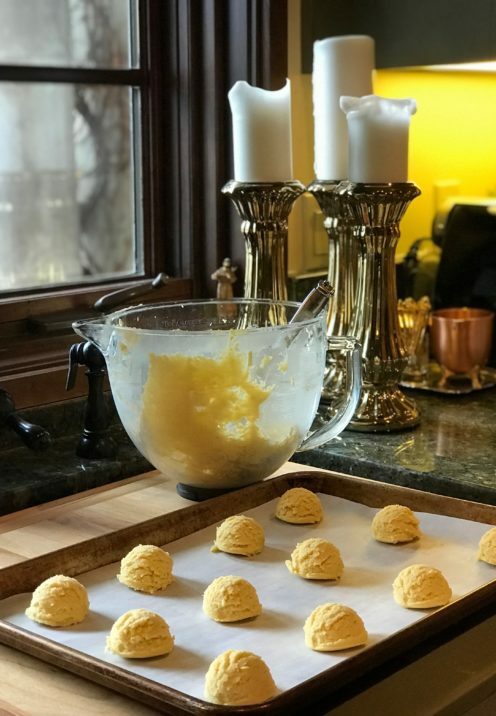 Well, I recently discovered that the recipe for Christina Tosi’s Corn Cookies has been published in her bestselling cookbook. But the thing is, as usual, I was inspired to adapt the recipe somewhat to make it my own. Because if truth be told I think her cookies are on the salty side, are too large, and the directions are a bit ambiguous, especially when it comes to the unique ingredients. 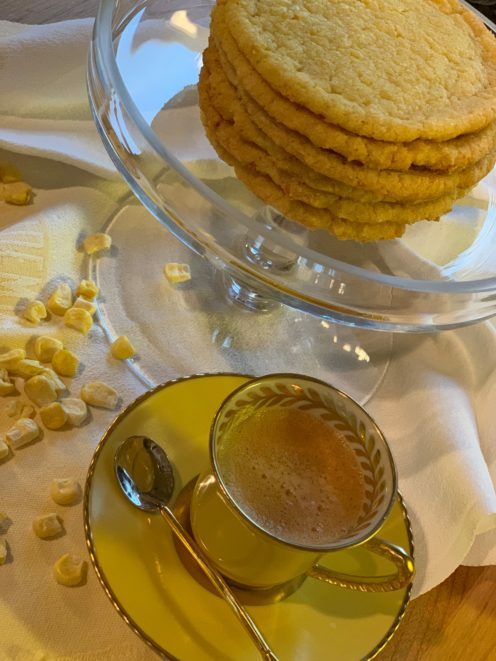 So today I’ll be sharing my tutorial for my Freeze Dried Sweet Corn Cookie Recipe and taking some of the mystery out of making these famous cookies. To get started you will need to get a couple of unique ingredients that you likely don’t have on hand. That’s OK, I’ll wait. And believe me, these cookies are so yummy they are worth the effort to get these items. 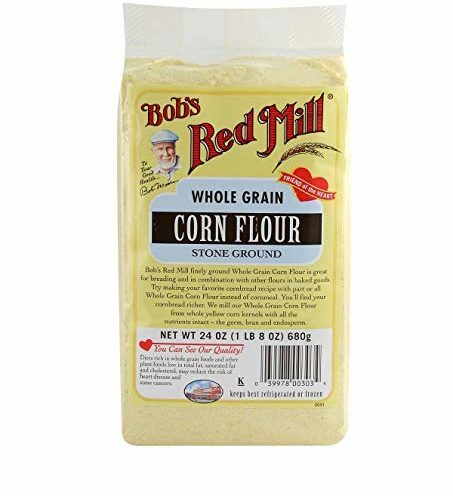 First you’ll need Whole Grain Corn Flour, which is a flour made from corn that is more finely ground than corn meal. My market doesn’t carry corn flour so I ordered it here. 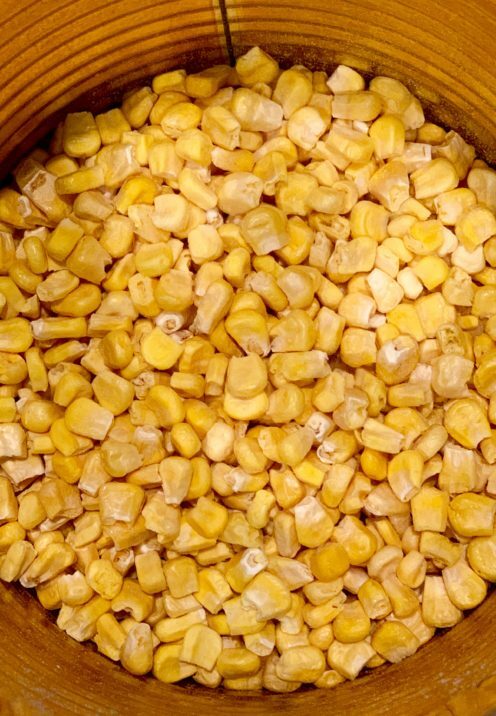 Next you’ll need the Freeze Dried Sweet Corn Powder which is made by pulverizing Freeze Dried Sweet Corn. I ordered it here. The stuff is really delicious, and can be eaten as a snack right out of the package while you’re making the cookies. 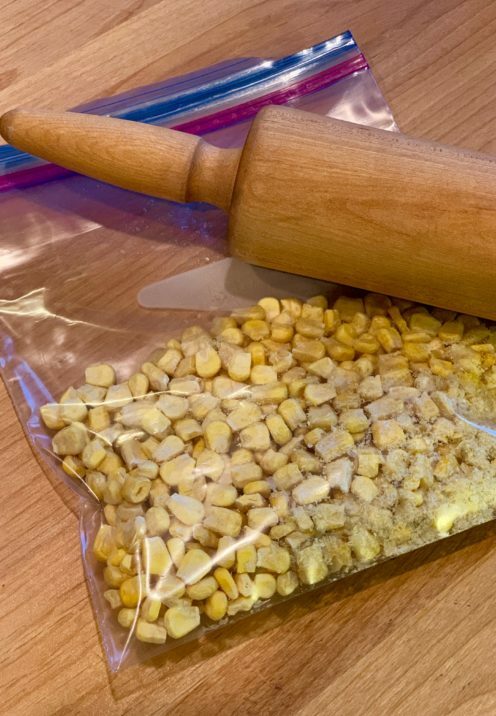 To make the freeze dried corn powder place 1 1/3 cups of Freeze Dried Sweet Corn in a Zip Lock Bag. Remove the air and zip closed. 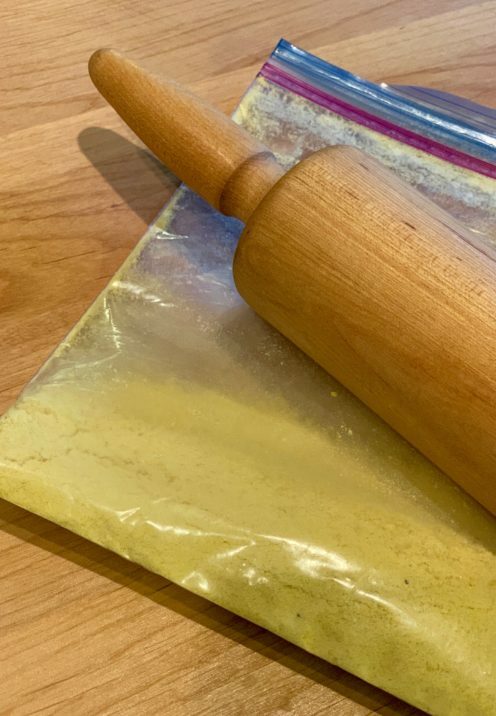 Using a rolling pin, pulverize the kernels of corn into a fine powder. Measure out the needed 2/3rds cup of the resulting powder to prepare the cookie dough. 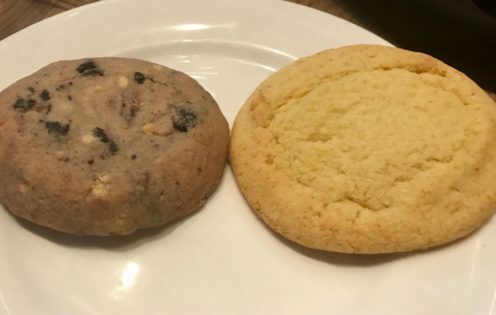 To make your cookies uniform in shape and look professional you’ll need a 1.4oz. 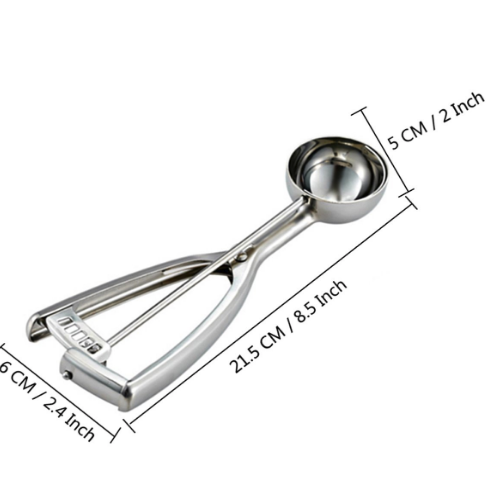 medium size, squeeze-release scooper. Christina Tosi uses a huge, 1/3 Cup scooper for her cookies. I prefer a more manageable size cookie and use a smaller scoop. Into the bowl of your standing mixer fitted with the paddle attachment, add the butter and sugar. Cream on medium speed for 2 minutes. Using a rubber spatula scrape down the sides of the bowl, then add the egg. Continue beating for a full 8 minutes more until the batter is light in color and fluffy in texture. This is an important step in the preparation so don’t skip it. 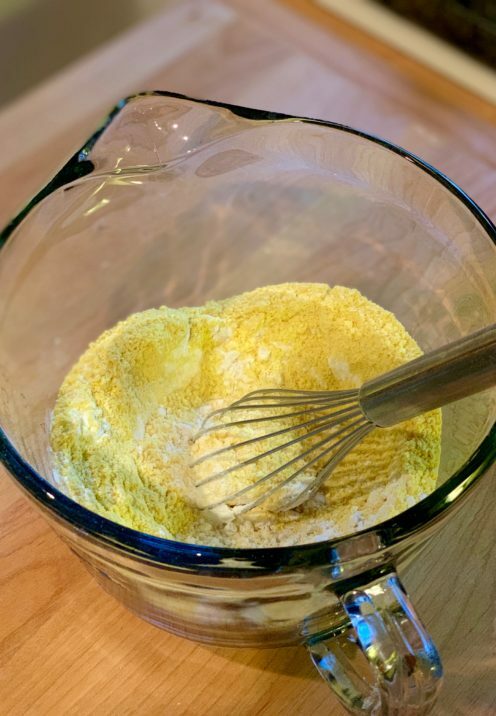 In a separate bowl whisk together the all purpose flour, corn flour, freeze dried corn powder, baking powder, baking soda and salt. With the standing mixer on low, add the the dry ingredients until just combined. Scrape down the sides of the bowl and finish with a final quick mix by hand. 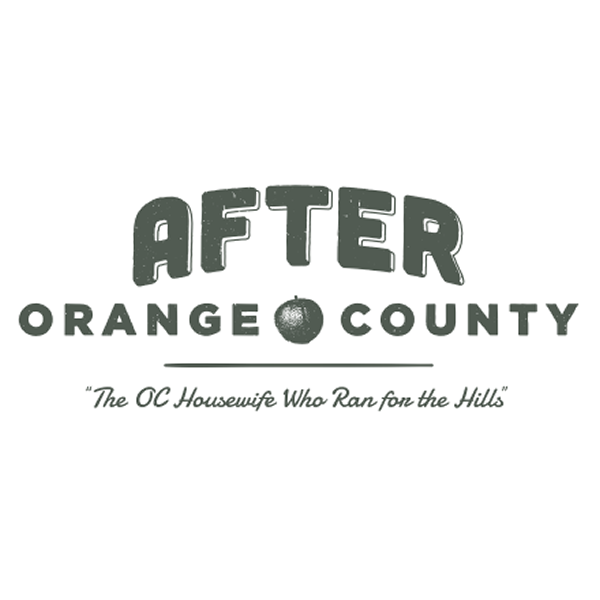 Using a 1.4 oz. scooper, portion out the cookie dough onto a cookie sheet lined with parchment or a Silpat. Place the dough balls about 2 inches apart. Place a small amount of granulated sugar in a flat bottomed bowl or plate. 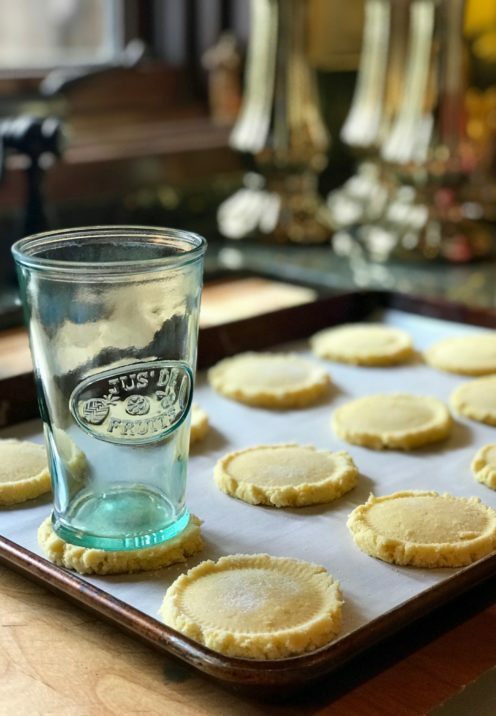 Using a drinking glass with a 2 1/2″ bottom, dip the glass into the sugar, then use it to flatten the cookies, dipping into the sugar with each press. The sugar will keep the glass from sticking to the cookie dough. Wrap the cookie sheets tightly in plastic wrap and refrigerate them for at least 1 hour. This is an important step, as these butter-rich cookies cannot be baked at room temperature. Once the cookies are firm you can place them in freezer bags and keep them frozen for up to a month or until you wish to bake them. They will keep refrigerated for up to a week. Once ready to bake, preheat the oven to 350°F. Place the chilled cookies, arranged 2″ apart on lined cookie sheets, in the preheated oven and bake for about 8 minutes. When ready the cookies will appear soft and will have very faint brown edges. Remove the cookies from the oven, allow to cool completely on the baking sheet. The cookies will harden as they cool but will still remain soft and chewy. 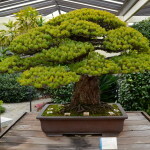 Store in an airtight container at room temperature for 5 days or in the freezer for up to a month. 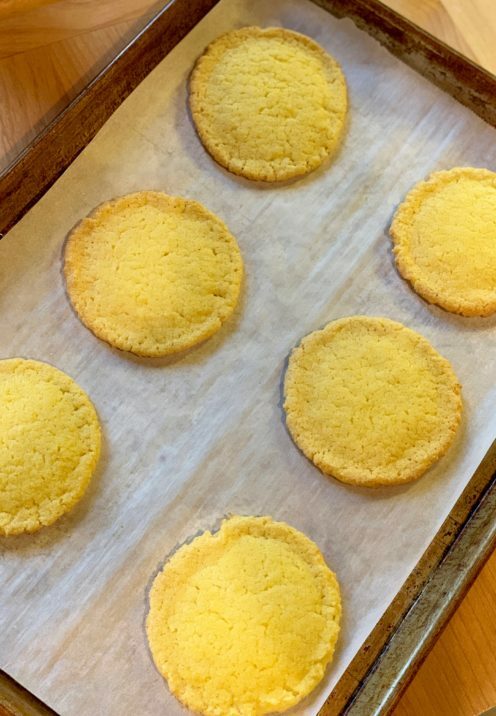 This recipe was adapted from Christina Tosi's recipe for Milk Bar's Corn Cookies. 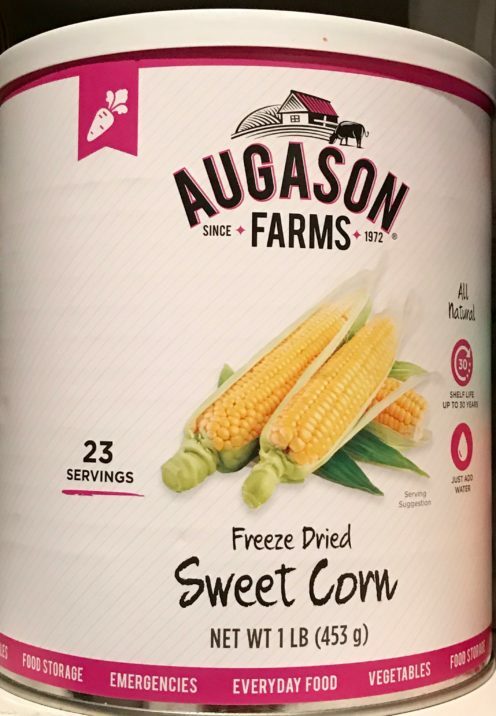 They are made with delicious freeze dried sweet corn and taste like yummy sweet corn muffins. Plan ahead when making these cookies as you will need some unique ingredients and some extra time. Using a rubber spatula scrape down the sides of the bowl, then add the egg. Continue beating for a full 8 minutes more until the batter is light in color and fluffy in texture. With the standing mixer on low, add the the dry ingredients until just combined. Scrape down the sides of the bowl and finish with a final quick mix by hand. Using a 1.4 oz. scooper, portion out the cookie dough onto a cookie sheet lined with parchment or a Silpat. Place the dough balls about 2 inches apart. Place a small amount of granulated sugar in a flat bottomed bowl or plate. 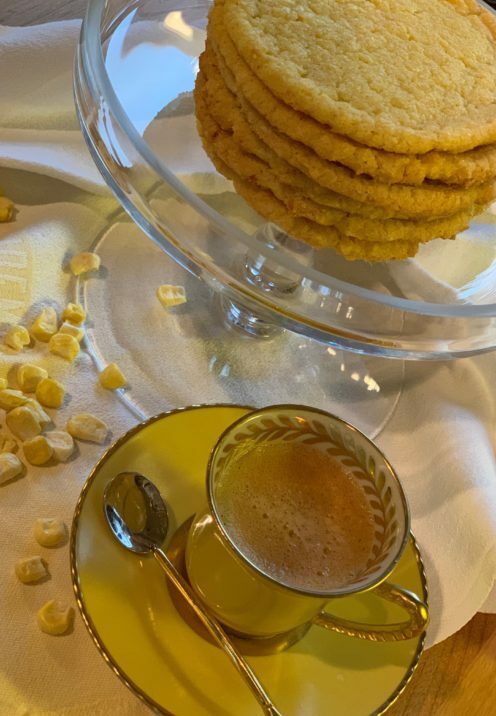 Using a drinking glass with a 2½" bottom, dip the glass into the sugar, then use it to flatten the cookies, dipping into the sugar with each press. The sugar will keep the glass from sticking to the cookie dough. Wrap the cookie sheets tightly in plastic wrap and refrigerate them for at least 1 hour. This is an important step, as these cookies cannot be baked at room temperature. Once the cookies are firm you can place them in freezer bags and keep them frozen for up to a month or until you wish to bake them. They will keep refrigerated for up to a week. Place the chilled cookies, arranged 2" apart on lined cookie sheets in the preheated oven and bake for about 8 minutes. When ready the cookies will appear soft and will have very faint brown edges. Remove the cookies from the oven, allow to cool completely on the baking sheet. The cookies will harden as they cool but will still remain soft and chewy. 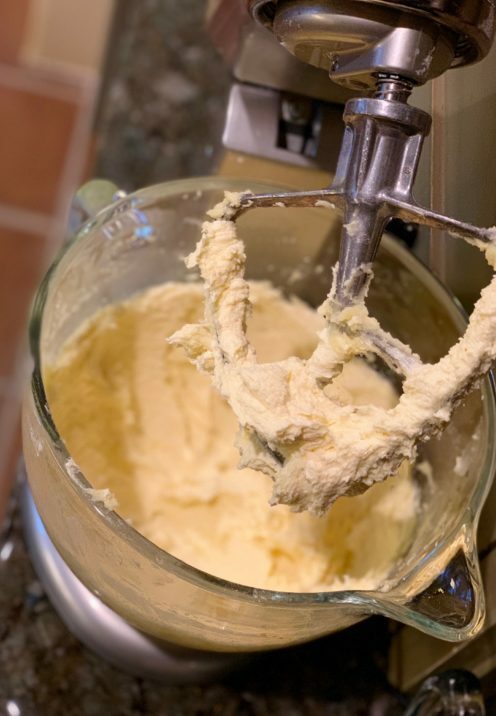 Don't skimp on the mixing time, it's important for the incorporation of the butter and to develop the proper texture. Also, because of the large butter content, these cookies must be placed in the oven directly from the fridge. DO NOT BAKE THEM FROM ROOM TEMPERATURE.